Happy Monday Everyone! Hope you're having a great start to spring. 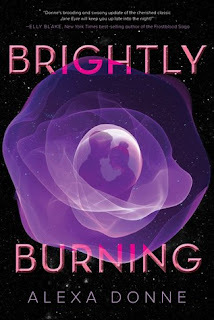 Today I'm excited to have debut author Alexa Donne and her agent Elana Roth Parker to help celebrate the release of Alexa's YA science fiction BRIGHTLY BURNING. It's a retelling of Jane Eyre, one of my favorites when I was a teen, so can't wait to read this. Now here's Alexa ad Elana interviewing each other. AD: I find the story of how you got into agenting really fascinating! You’ve come to agenting via a unique pathway, which lends you particular strengths as an agent. Do you mind sharing a bit about where you started to how you ended up where you are now? EP: So yeah. I feel like my entire career is a roundabout path...though the focus has always been in children’s books. In college, I interned at Nickelodeon Magazine, which was a dream come true. But my first real job out of college was as an editorial assistant at a book packager. I didn’t know what that was when I interviewed, and I bet most people still don’t know what it is, even though packagers create some of the most successful books in the industry. “package” to a publisher. They’re like creative think-tanks that are also ways for publishers to outsource a lot of work. I got my start at a packager that focused on licensed properties for kids, so I got to learn every part of the business from concept creation to production. I spent 5 years there before wanting to do something that had me working more directly with authors, and I made the leap to agenting. I had no idea how helpful all those pieces of my education would be. But I entered agenting with a solid list of editors at different houses that I already had relationships with, and I knew how a book was made start to finish. AD: What was it that drew you to BRIGHTLY BURNING when the query landed in your inbox? At what point did you know you were going to offer? EP: First, the query was excellently written, and the pitch was a total no-brainer: Jane Eyre in space! I’ve seen a lot of bad adaptations float through my inbox over the years (if I never see another Wizard of Oz, Peter Pan, or Alice in Wonderland retelling it’ll be too soon). But I don’t get much by way of the Brontes, and hadn’t seen that spin yet. Plus the sample pages were really good, so I requested it. I started reading it on a train ride to upstate New York where my husband and I were going for a weekend away. I ended up reading it the whole train ride, and the bulk of the trip. That’s when I knew I’d be giving Alexa a call. AD: What is something you wish more authors asked you on offer calls? EP: A lot of authors come into the call so shocked or nervous that they haven’t often thought sincerely about what they want in an agent or the relationship. And not everyone has the luxury of fielding more than one offer of representation in order to have points of comparison—I worry that people just take the first offer that comes along. Or sign with someone they just think is really great on Twitter. So what I wish more authors had ready was a list of questions about working style based on THEIR OWN preferred working style. And then do due diligence. Ask to talk to other clients. Get into the thick of it to find out how you’re REALLY going to be working together. You really want to feel comfortable signing with someone who is going to be a great partner with you. AD: Can you talk about how you approach your relationship with editors, both with regard to submission and with how to act as a buffer between client and editor post-sale? EP: Since being an agent is like being a matchmaker, a middle-man, and a therapist sometimes, I have to be a rational, helpful teamplayer between the editor and my client. First, keeping good, friendly relationships with editors is really important, as I need them to trust my judgment in the projects and authors I send their way, but my primary responsibility is to my client. After a book is sold, we’ve changed the dynamic and added a new relationship that I need to honor. My client is still my primary responsibility, so I will be that advocate and save the author from having to have tough conversations about any business stuff. I can play the bad guy for them. But it’s also my job to know when to step back and let the editor and author do their thing. While I’m always still making sure things are running smoothly, I want my clients to have trusting, supportive relationships with their editors, because I want the books to be as successful as possible. So I get out of the way when the real editorial work is happening as not to gum up the works. EP: Just plain not following directions. It feels like everyone thinks they are an exception to the rule these days. The rules aren’t there for me to be a jerk. They’re there so I can read queries easily and get to everyone in a timely matter. When people try other methods, assuming that’ll get them noticed, it does the opposite. AD: You’re currently closed to queries, but what will you be looking for when you reopen? You are, of course, always looking high concept, commercial kidlit, but are there any particular types of projects you are looking to add to your small but mighty client list? EP: That’s kind of it, really! I really do want more middle-grade to go with my YA. High-concept. Commercial. Big stories. Broad range of characters. Fun. Enjoyable. I read for pleasure and to escape. I want to give kids those kind of “get you out of your world” kind of books. I have a great selection in my YA list right now, but would love to get more for the middle-grade audience. EP: I think you have one of the best “persistence and hard work” stories in the business. 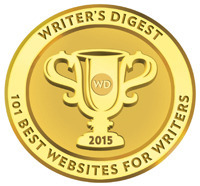 Do you want to give readers a short run-down of your path to getting published? 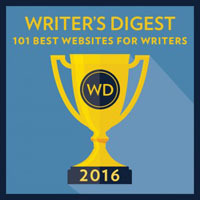 I completed my first YA novel in early 2013, when I was 29, and was lucky to get into two contests--Pitch Madness and The Writer’s Voice that spring. After some full requests, and a few revisions for one particular agent, I got an offer! I was with my first agent for about two years, during which time I spent 1.5 years on submission without selling (and received about 30 rejections). 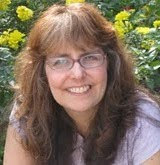 During that time, I wrote a second book--my dream project, and what I considered the book of my heart--which my agent at the time just didn’t connect with and wasn’t sure how to pitch. It was heartbreaking, but I was heading firmly in the direction of SFF YA, and the fit was no longer perfect--it happens! We parted ways summer 2015, I queried book #2, but could tell from early query response that it just wasn’t going to work for the market. I’m a generally pragmatic and positive person, but honestly I felt like giving up! I was so sure my second book was the best I could do, and no one wanted it. At this point I was 3 years and 2 novels into my journey, and approaching 32. Losing my agent felt like the end of the world! And then on the third day of NaNoWriMo 2015, I got really annoyed at myself and at the industry, and decided to say “eff it” and write an idea I’d been sitting on for years because I was sure I couldn’t do it justice. That idea was Jane Eyre in space. I wrote every single day for 3 months straight, and finished the 105K draft in early February 2016. I queried later that month, and it was like night and day, re: my querying experience of the second book. So many amazing agents requested the full, and I was so grateful. Still, it took two months to get an offer (not complaining, but nothing in this journey has been overnight or fast! ), and I ended up lucky enough to choose between two fantastic agents. I actually queried you (Elana) on a whim--I saw your MSWL tweet and took a chance, and THANK GOD I did!!! Then… submission again, which we went on in the fall of 2016 after I revised the book over the summer. We got really close during first round submission, including going to acquisitions at a fantastic publisher, but ultimately received 13 “No”s by February 2017. But, I was determined, and my agent a consummate pro who was able to interpret our rejection feedback and help me formulate a revision plan. I knocked it out in 10 days, you read the manuscript in 3, and then I was back out on submission not even 3 weeks after our final rejection from round 1. And the revision worked like magic--HMH offered 4 weeks later, it turned into a pre-empt, and a year later my book will be on shelves. Which is BONKERS FAST! EP: You’re my most “in the know” client, always keeping up on deals and new releases and networking with other writers. While that’s not for everyone, what do you find has been the most helpful part of that habit? Also...what’s the biggest downside? AD: I get incredibly anxious when I don’t have enough information, so knowing ALL THE THINGS actually calms me--more data is good, for me (also why I read all my rejections!). Keeping up on deals, trends, industry moves, and new releases keeps me grounded in the realities of the industry--how random it can be (and tied to pure luck), who’s buying what and for how much, who is good to work with and why, etc.--all of this data helps me to remain pragmatic, and as positive as possible. It’s also just amazing to connect with so many writers, and forge new friendships. I feel less alone and neurotic and odd for all the relationships I’ve formed. I also was able to get a good sense of what to expect from the murkier parts of publishing by supporting friends who were published before me. EP: What’s been the most surprising part of the process post-book deal for you? AD: How overwhelming and emotional it would be + exactly how much would be completely out of my control! Even knowing a lot of this ahead of time--I’d heard from so many people to expect lots of highs and lows and to be overwhelmed, and that publishing was madness--I was and am still surprised actually going through it. And specifically, balancing promotion for the book coming out against drafting the next book has been incredibly difficult to manage, even harder than I had anticipated. You’re juggling so much during your debut year, and nothing could accurately prepare me for what being crashed would feel like. I feel like I’m on a high speed train or a rollercoaster, so even though it’s fun a lot of the time, I’m also hyper aware of being on a very fast thing. EP: What piece of advice would you give writers who are just starting on the querying process? AD: Be selective with who you query! I don’t think enough emphasis is placed on carefully curating your query list. You should never query anyone you wouldn’t be happy to accept an offer of representation from. This sounds like common sense, but I have advised far too many writers who don’t do their research until after they have an offer from someone that they don’t actually want to work with. There’s a fantasy of getting an offer from someone you don’t really want, and using that to leverage “better” agents into counter-offering, but this can seriously backfire! And often the writer will feel bad or guilty or desperate--especially if it’s the only offer they receive--and say yes, ending up locked in a bad relationship that wastes years of their career. It’s better to shelve a book and move onto a new project than to accept representation from a lacklustre agent or from one who is a poor fit. EP: What about writers who are currently on submission to publishers? 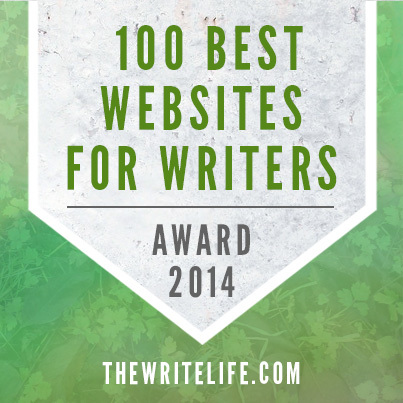 AD: Surround yourself with writer friends who understand what you are going through! This can be other writers on sub at the same time (though beware of jealousy that may arise if/when they get a splashy deal before you do), or writers who already have deals and who had a variety of sub experiences. You need someone to vent to privately, or cry with, or even a buddy to read your rejections for you. CPs who have read your book are particularly invaluable, because they will remind you why they love your book and why you should keep going! Your agent is also there to shore you up, but I don’t advise venting too much to them--writer friends are invaluable! EP: Writers are always asking me how I think they should handle social media to help promote themselves. But I’m curious what you, someone who’s very active on several channels, would suggest. 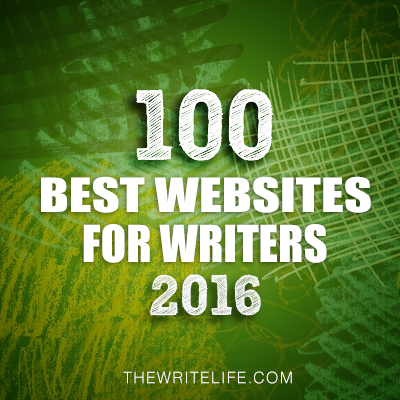 AD: For aspiring authors, my top recommendations are Twitter and Instagram. Twitter is the best place to be to stay “in the know” of the industry, and also to engage organically with fellow authors, industry professionals and readers. You can demonstrate your personality and passions, and organically slip in a bit of book promotion every so often. It’s my favorite social channel for forging connections and staying on top of things. Twitter is often the first place people search for authors now, so it’s important to be on there. Instagram is the best place to be for fun, positive book/brand promotion. You do have to be decent at photography and typing on your phone though! That said, you don’t have to be an Instagram maven by any means with a carefully curated aesthetic. But you should post semi-frequently, with well-composed/dynamic images and should write interesting captions--giving a snapshot of your life, writing advice, etc. And use Instagram Stories! Readers love seeing fun little bits from your life. And then if you aren’t afraid of video as a medium and are willing to put in the work, I do recommend taking the YouTube plunge! I’ve been shocked at how much I love it, and there’s a vibrant reader and writer community there who are interested in hearing from more authors. It can actually help a lot with public speaking, and just talking about your book/yourself in general. I’ve gained a lot of confidence filming and editing videos, and it’s been a great tool for reaching new readers! Elana Roth Parker has specialized in children's publishing from the beginning of her career, from her very first internship at Nickelodeon Magazine followed by 5 years as an editor at Parachute Publishing. 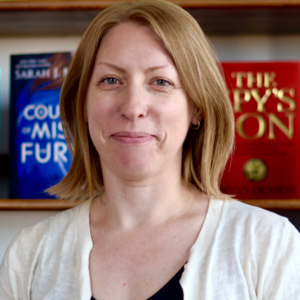 She's been an agent since 2008, joining LDLA in 2016 after running her own agency, Red Tree Literary. Elana is currently closed to queries, but look for updates on Twitter at @elanaroth. 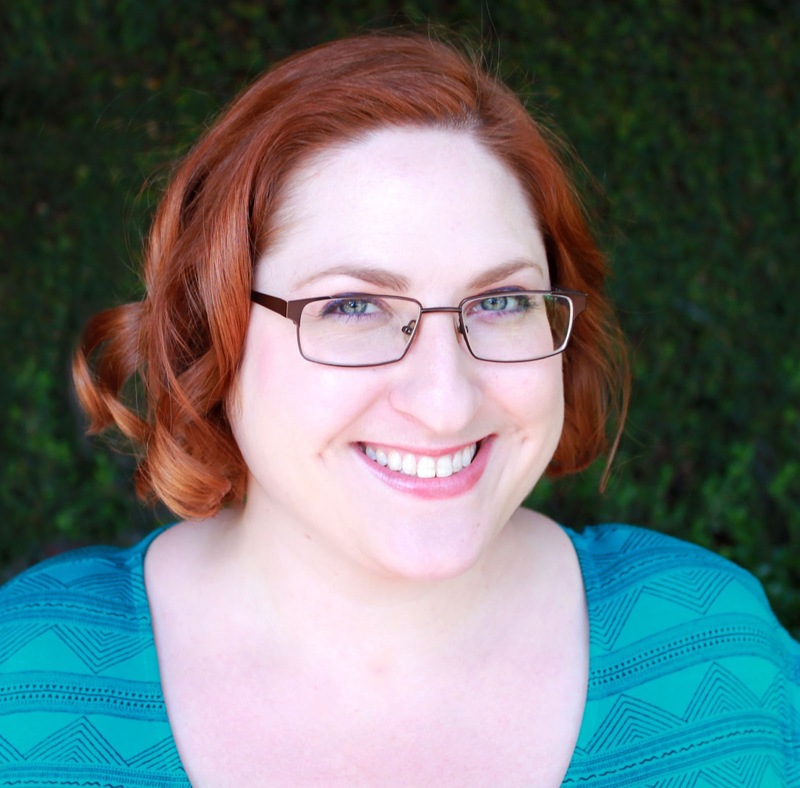 Alexa Donne is a Ravenclaw who wears many hats, including teen mentoring, college admissions essay consulting, fan convention organizing, YouTube-ing and podcasting. When she’s not writing science fiction and fantasy for teens, Alexa works in international television marketing. A proud Boston University Terrier, she lives in Los Angeles with two fluffy ginger cats named after YA literature characters. Visit her at www.alexadonne.com or on most social media spaces @alexadonne. Brightly Burning is her debut novel. Look for it on May 1, 2018 everywhere books are sold. Alexa is generously offering an ARC of BRIGHTLY BURNING and Elana is offering a query critique for a giveaway. To enter, all you need to do is be a follower (just click the follow button if you’re not a follower) and leave a comment through April 21st. If you do not want to be included in the critique giveaway, please let me know in the comments. If your e-mail is not on your Google Profile, you must leave it in the comments to enter either contest. Another great interview! Love to see stories of perseverance, and “Brightly Burning” sounds intriguing! Thanks! Fascinating! Nothing we do is ever wasted. It seems that's the case for this agent. Congrats to Alexa on her debut! Lovely read! So nice to hear that the first project you work on is not always the one that gets chosen, and that your heart project also sometimes is put aside! Interesting double interview! I'm dying to read Alexa's book (I love her Youtube videos), and how could anyone in the querying trenches pass up a query critique from such a knowledgeable agent? Fantastic interviews, ladies. Sometimes it takes a while to find the right place, but when you do, it's great. Congratulations and best wishes. Shout out to a fellow Ravenclaw! ;) This interview was just what the doctor ordered for me. It's good to be reminded that hard work and learning the market can pay off. Jane Eyre is my all time fav so Brightly Burning sounds like a winner. I would love to win the query critique as well. Thanks, Natalie! Ooh, what a fun premise! I wish I'd thought of it! What an unusual premise: Jane Eyre in space. I've always been a Jane Eyre fan; a Bronte fan; an Victorian Era fiction fan. So this is a real learning curve for me—seeing the possibilities for translation into a new realm. I enjoyed, too, the agent/author give and take in these interviews. Much to learn from. I just subscribed to Alexa's YouTube channel. It's so nice when people who've made it take the time to offer advice to others! This book sounds fantastic! Fun interview ladies! I follow via GFC, and my email is megan(dot)clarsach(at)gmail(dot)com. Congrats, Alexa and Elana! It was really helpful to read both of your perspectives here. Interesting interview. Thanks for all the specifics. Jane Eyre in space sounds intriguing! As always, another great interview. Authors need a lot of patience and perseverance. It's not an easy career path. I do love a writer's story that has ups and downs. It makes me feel better. And I love the Bronte sisters! This is a book I'll have to check out. Alexa's Jane Eyre rewrite is a brilliant concept. Just when I thought all the good ideas were taken, she came up with one! I also loved reading about both Alexa's and Elana's professional journeys. At a time when I am starting to seriously think about giving up, this interview has been an emotional game changer! Thanks Natalie. Glad you found this inspiring, Louisa. And I can relate to feeling like giving up sometimes too. Thanks for the great interview. Great advice about pushing through the disappoints. Seems like most successful writers have to put up with many. I would love a query critique from Alana. Thank you so much to Alexa, Elana, and Natalie for this interview! Alexa's story is so inspiring. I am absolutely excited for her release and to see her at YALLWEST! I actually just read this book! Brightly Burning is brilliant. My daughter and I devoured it. Hugo is swoony. I want to know if there will be a sequel? The end sorta left it open for a potential. Wonderful interview! Brightly Burning sounds fantastic! Congrats, Alexa! What a fabulous interview! I had the extreme pleasure of watching Alexa speak live during WriteOnCon 2018. She brings so much passion and energy into everything that she does. 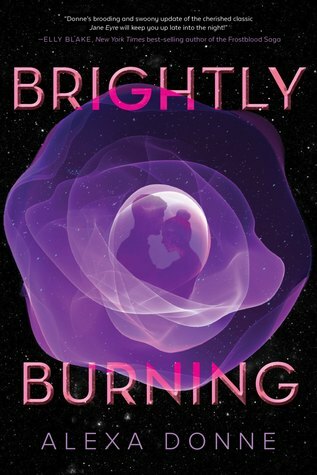 I cannot wait to read Brightly Burning! Loved the dual interviews - thanks for taking the time to share. Inspirational just when I needed it! You gals had me at Jane Eyre in space. Great interview format, Natalie. This book sounds fantastic! And great advice on being careful who you query. Thanks to both Alexa and Elana for the interviews and giveaways. I'm excited to read BRIGHTLY BURNING! Fascinating interview and interesting information. Thanks for sharing! Oh, wow! I just saw you will be interviewing Jennifer March Soloway on April 23rd. I heard her speak at the SCBWI Spring Spirit Conference last Saturday, and she was dynamite! I'll be looking forward to that interview. Wonderful interview--great idea for the agent and author to interview each other. I am so impressed by the patience and perseverance of traditionally published authors! Good luck with the release. Thank you for the interview. 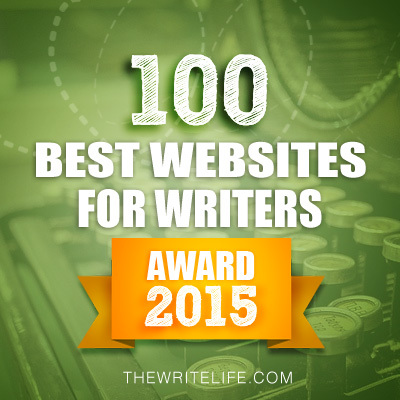 It's encouraging to read about other winding roads through this writing journey! What an interesting post. I can imagine how much agents and editors appreciate those who do follow directions- especially on queries. Very interesting interview. Brightly Burning sounds great! Thank you for sharing this excellent interview. I’ve recently come to know Alexa through her amazing work on Author Mentor Match and am looking forward to reading her book. Shared on Twitter (@artsylliu) and my email is sylliu at yahoo. I love hearing about the agent - author relationship. Hope I have one soon!